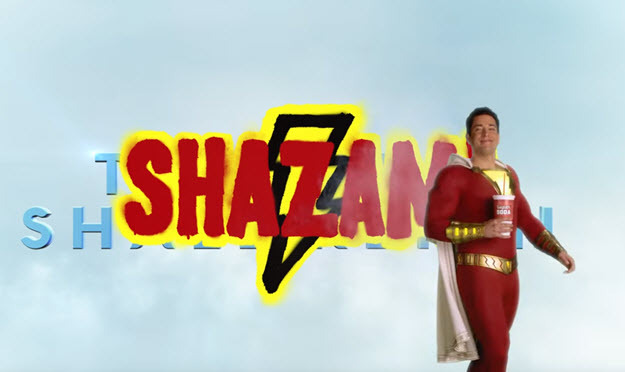 Warner Bros. has a clever April Fool's prank to promote Shazam. The movie company released a trailer on YouTube and elsewhere that appears to be for Aquaman 2. Shazam appears after a few seconds into the trailer. It is a bit early for an Aquaman 2 trailer but this fooled many people based on the YouTube comments alone. Shazam stars Zachary Levi (Chuck) as Shazam. Like Aquaman it is also based on a comic from Fawcett and DC Comics. Shazam was actually previously known as Captain Marvel. It would have been very confusing if they had kept that name. Here is the sneaky Aquaman 2 trailer with Shazam inside and a full Shazam trailer. The film arrives an theaters on April 5th. It looks like it will be very entertaining. Levi was a great pick for the role.